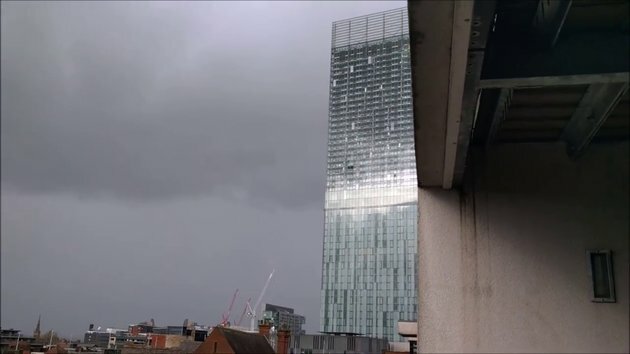 Beetham Tower in Manchester, UK 'humming' during high winds at around 1.30pm on Sunday 29th November 2015. With the migraines I get I'm just glad I don't live anywhere near there! This building is going down. Maybe not in a year but the sound will shatter it; no doubt about it.